Burt Lancaster plays a pirate with a taste for intrigue and acrobatics who involves himself in the goings on of a revolution in the Caribbean in the late 1700s. A fantastic pirate movie! I have seen this movie more times than I can count as a kid, and recently I discovered that my favourite online movie store actually had it on DVD. 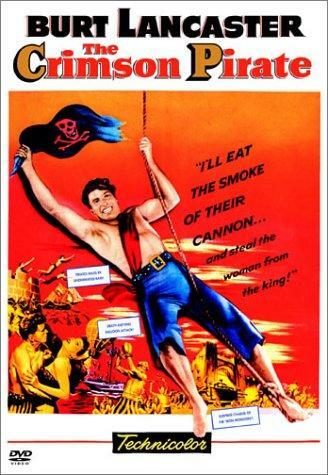 The movie was made in the 1952, but for action-comedy and pirate movies, I still think it is rather good. If you love old classic movies or any kind of pirate movie, this one is recommendable. My judgement is probably coloured by the sentimental value this movie represents to my.